What would our cities look like if they were designed around cycling rather than cars? How would it influence designs for shops, clothing, buildings and city planning? 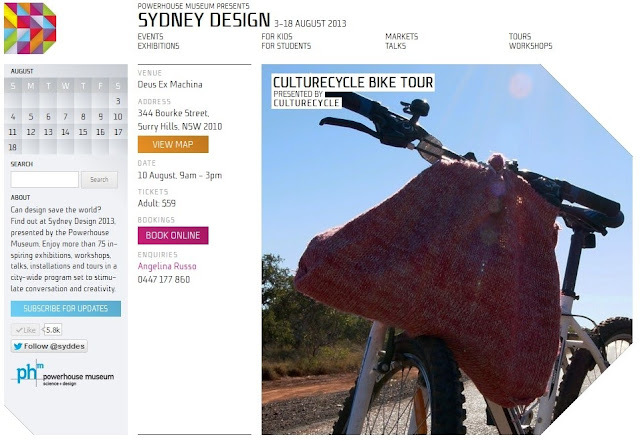 Come and explore a future vision of cities built around cycling and how it would influence large brownfield redevelopment sites in Australia. These amazing seminars are supported by a digital display of artworks, architectural propositions and fashion works which illustrate the potentials of a future cycling city. 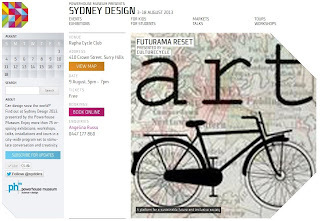 Dr Steven Fleming is an Architect and Urban Planner and a world-renowned expert in the connections between architecture and cycling. Gilbert Grace is an Australian artist current Masters candidate at Sydney College of the Arts, Sydney University. He is the President of ARTcycle Incorporated, a group which promotes cross-discipline and hybrid arts practices. Professor Angelina Russo is a designer and Professor of Cultural Practice at the University of Canberra. She runs the small business, CultureCycle, which is dedicated to designing innovative, hi-visibility, handmade knit and crochet cyclewear. A day of cycling, culture and crochet! 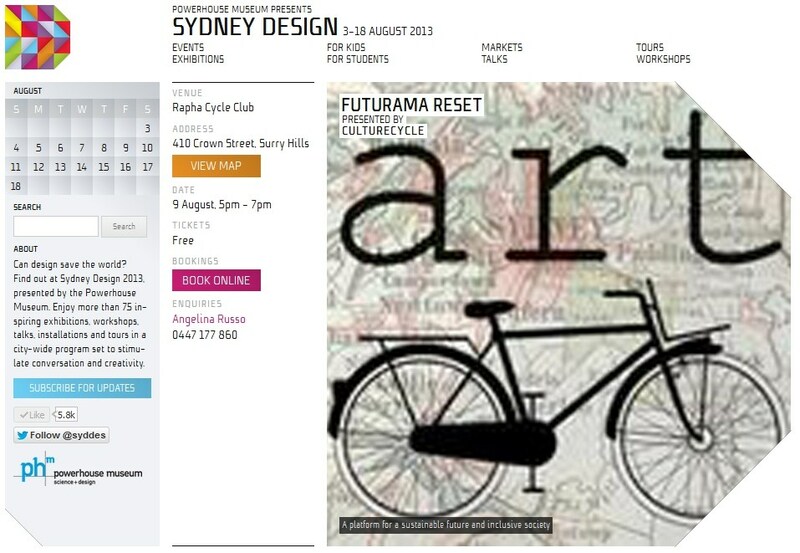 Join ride leaders Gilbert Grace (ARTcycle Inc.) and Angelina Russo (CultureCycle) on a cycling tour of some of Sydney’s best cultural institutions. This tour will visit a number of galleries and museums as well as introducing you to some of the best sights Sydney has to offer. The tour starts in Surry Hills and ends in Pyrmont where we will gather to do a one hour crochet workshop and includes morning and afternoon tea. Please note that bikes are not provided and that all participants must wear a helmet. Xenero | Complete IT Solutions is a web and app development company based in Sydny, Australia. We pride ourselves on delivering the best possible solution to our clients and ensure that no matter what the task is we do it to the fullest of our abilities.